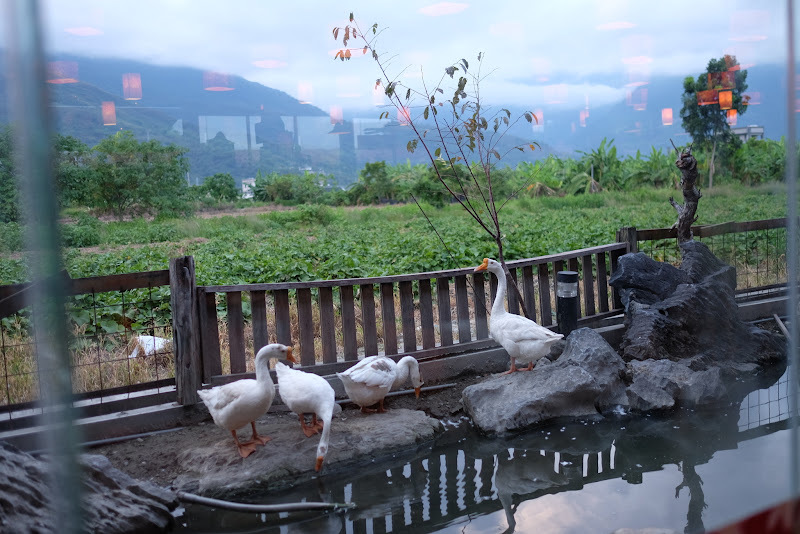 This restaurant is away from the city center of Hualien, and is located on a beautiful farm. 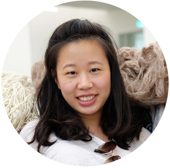 It's mainly a hotpot restaurant with emphasis on healthy eating. 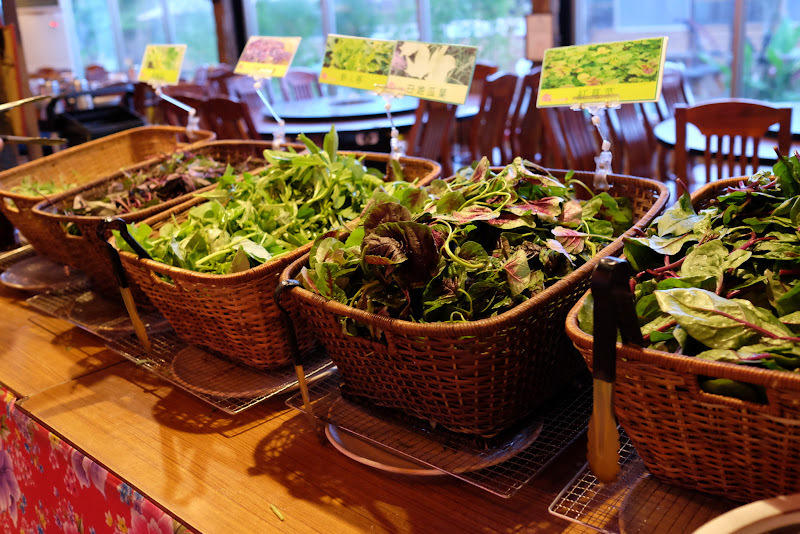 Many local vegetables and wild greens. 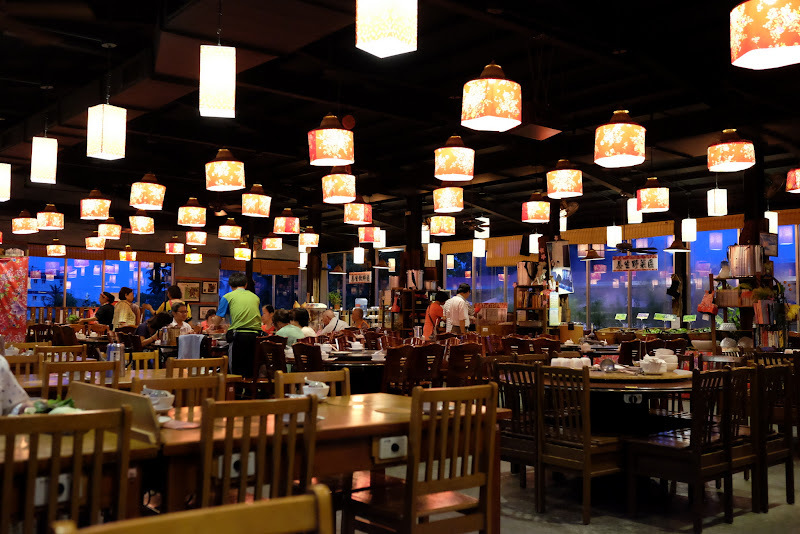 The menu is all in Chinese characters, but the staff is very friendly and can help explain in simple Chinese. Their menu is available online (in Chinese). The hotpot is priced per head. Each seat has its own recessed hotpot. You select a broth and a protein, and additional wild vegetables, rice, and condiments are self-serve. We ordered the pork and one of their specialty “flower” broths. 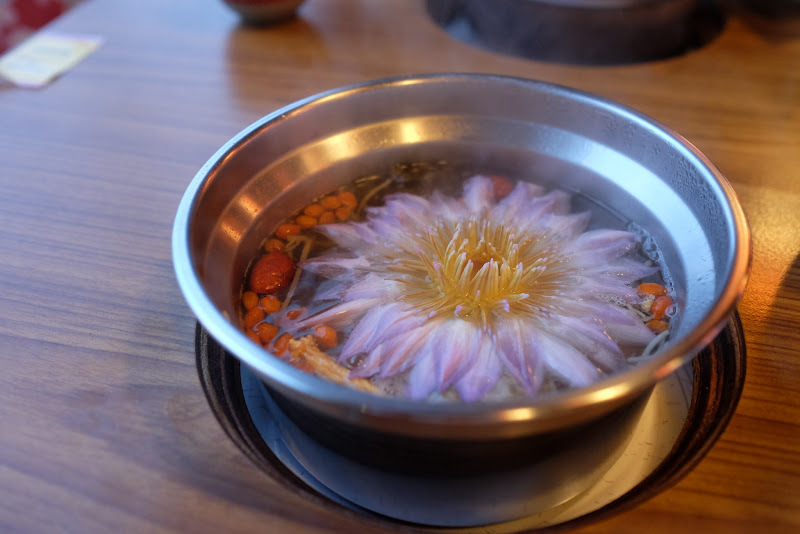 Their signature broth with a flower that opens up. 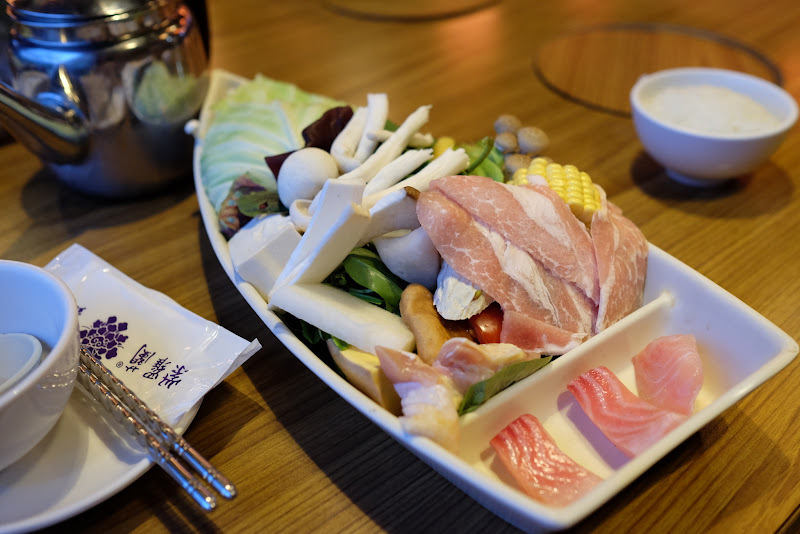 The hot pot ingredients arrived beautifully arranged on boats, with an incredible variety of vegetables and mushrooms. Some pieces of fish and chicken were also provided. Enormous variety of veggies/mushrooms in this thing! 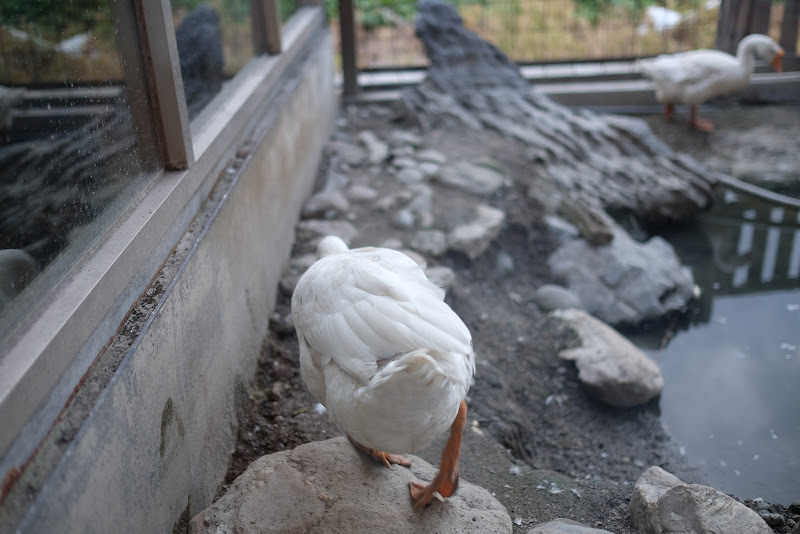 They have a buffet area with additional greens, condiments, and rice. Help yourself condiments. Soy, vinegar, hoisin, mystery sauce, etc. They also appear to have cooked dishes, based on food I saw coming out of the kitchen towards other tables! We were completely stuffed, but felt very energized from all the healthy greens! The complementary drink provided is a cold, plum-based beverage. 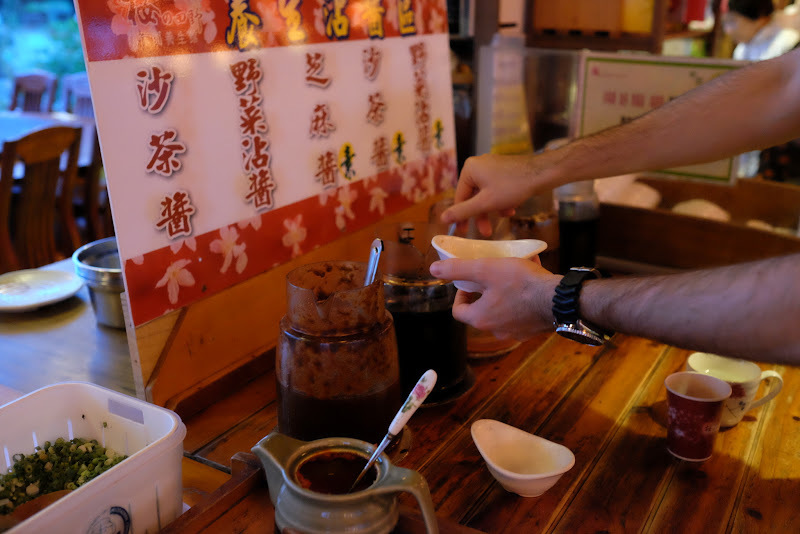 One of the cold pickles that were provided with our meal was a delicious pickled plum (sweet, not sour at all). They also appear to sell jarred plums near the front. They can also call a taxi for you (the wait will be about 15 minutes). Bottom Line: Highly recommended! A very memorable and guilt-free dinner.